Sit. Stay. Shake. Roll over. When dogs are trained, they learn a variety of commands and these can vary from owner to owner. But, as I learned a long time ago, there is one word that most dogs will recognize. That word is “treat.” Years ago, there was a time that I yelled “Treat!” at the dog park to get Speckles’ attention. She perked up immediately and ran over to me… as did the other dozen or so dogs in the area. As you can imagine, I am a bit more careful now when talking about treats for dogs when a lot of pups are in the area. Of course, Speckles won’t do this for just any treat. She’s still pretty picky. 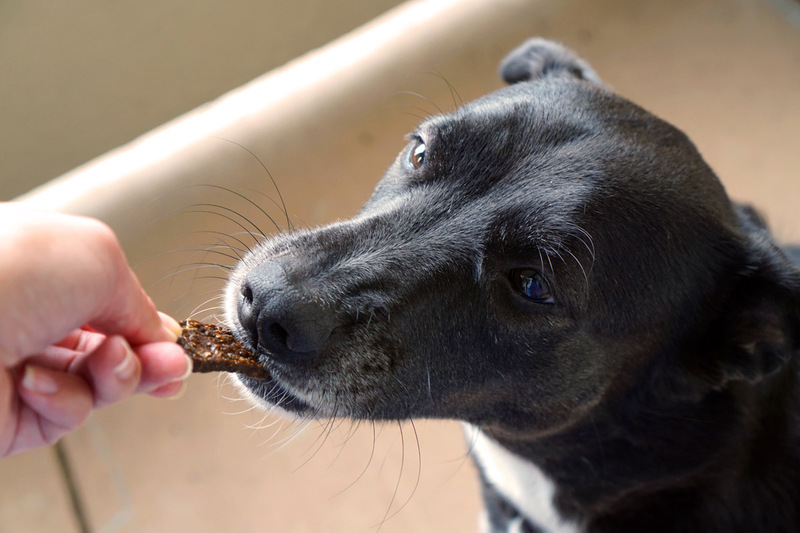 When we offer her a new treat, she’ll first sniff it and then give it a lick. Sometimes, even after putting it in her mouth, she’ll spit it out if it’s not to her liking. 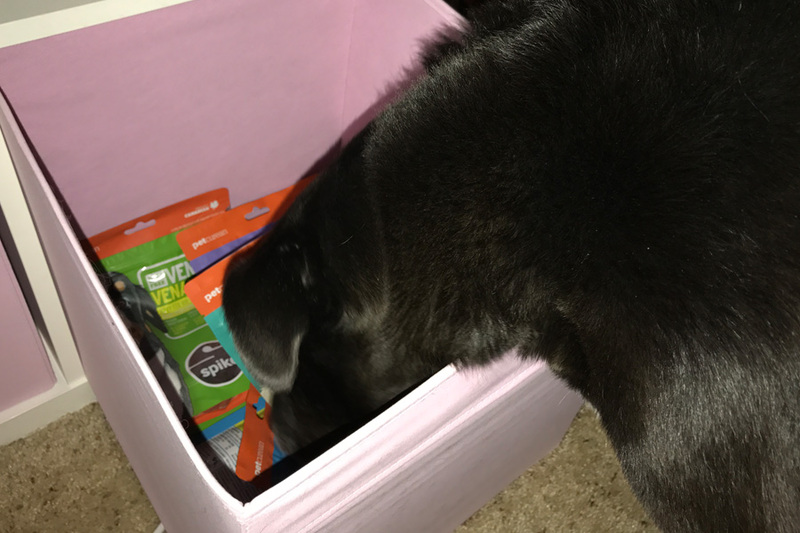 That was not the case with SPIKE treats from Petcurean. From the moment I opened a bag, Speckles was in my face trying to get a taste. She loves them! We keep our stash under our desk (need to be kept in a cool, dark place) and, whenever we reach for them, Speckles pushes us out of the way and thrusts her nose into the box. 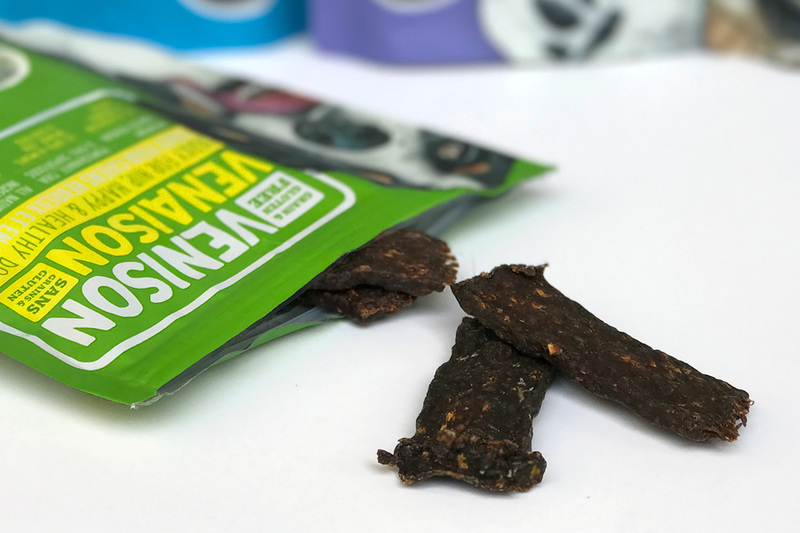 SPIKE jerky treats for dogs are grain and gluten free (so Frans can have them too — HA!). They contain all natural ingredients and are free of by-products, added growth hormones, artificial preservatives, flavors, or colors. The treats also include anti-oxidants and superfoods like chia, pomegranate, and kale. 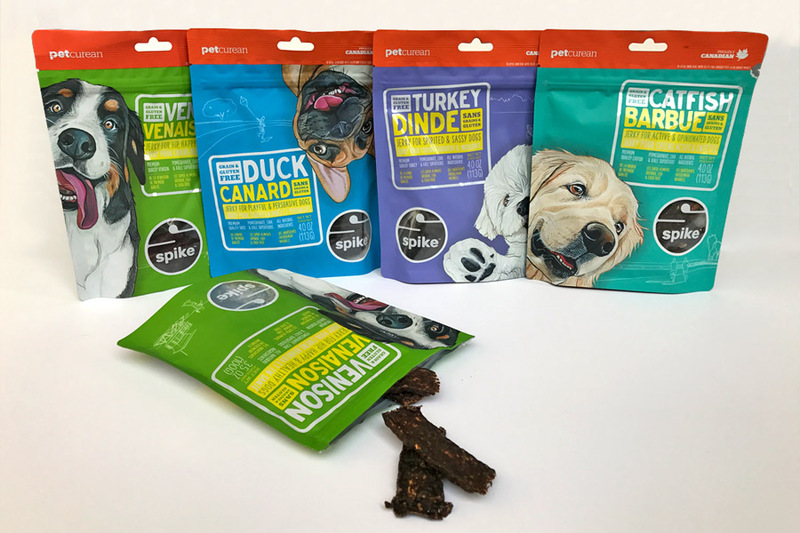 Petcurean cat and dog foods, including SPIKE treats for dogs, are available at specialty pet stores across the U.S. and Canada. Use the store locator to see where you can buy it locally.